Slaves haven’t been portrayed in the most positive light throughout their history, but they’re ready to change all that. Just a few months ago, things reached a breaking point for the band. 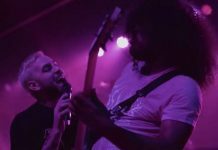 On March 30, guitarist Alex Lyman announced he was leaving the band after the conclusion of their tour alongside Capture The Crown, Myka Relocate, Outline In Color and Conquer Divide. Two weeks later, Slaves told fans that they would be playing their final show as a band in Santa Cruz. But now there’s an update. 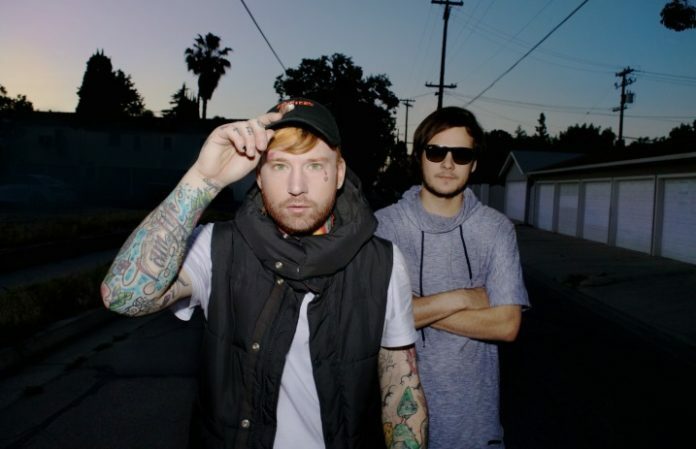 Last week, vocalist Jonny Craig and bassist Colin Vieira revealed they will continue as Slaves. They’ll tour the U.K. and Europe with Palisades and appear at Download Festival in June. We caught up with Craig and Viera from the road (Craig is currently on the tour with Dance Gavin Dance for their 10-year anniversary tour) to talk about past difficulties, their future plans and who they’ll be collaborating with for their new music. At one point, it looked like Routine Breathing would never be released, but your fans rallied to help you. 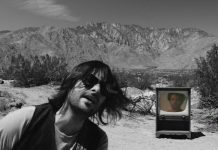 COLIN VIERA: After the whole Warped Tour thing happened, we were pretty down in the dirt about things. We owed a lot of money for things going into that tour—the van, the merch, gas, getting across the country. We were in a lot of debt. The CD was actually recorded at that time. We were just waiting to get all the rights to release it in a few months. But with all the debt in our name, we didn’t know if we were even going to be able to continue on as a band. We put all our extra merch we had from Warped Tour online, and our fans rallied up and bought our stuff, helped us get out of that debt. We were able to release the album and we decided to release it early while that was going on, as a treat for the fans who helped us out. In January, you had some issues with Artery, but it seems to have been mended since then. JONNY CRAIG: A lot of Artery stuff, it wasn’t really everyone’s decision in the band to be public about a lot of the stuff. We wanted to be a little bit more discreet. Things just got out of hand and happened the way they happened. I wouldn’t say things are mended, but we have no ill will toward the Artery Foundation; we have no ill will toward anyone. Let’s talk about the headlining tour. That’s where things seemed to come to a breaking point, and everyone thought Slaves was over. What happened? CRAIG: Yeah, a lot of people in the band, including myself and Colin, reached a breaking point with tons of different situations that were happening inside the band. I think a lot of people who aren’t in the band anymore, they decided they were over it. They didn’t want to—without being negative or anything—they didn’t want to put their feet forward with me and Colin, to just move forward and try and keep focus on what’s important to us, and that’s the music. I think they got consumed with all the drama, and like I said, myself as well and Colin also did at some points. But me and Colin both want to focus on moving forward as a band. And doing things properly this time, finding new management, working on the business side of the band first before we work on anything else. That’s where it’s at right now. VIERA: I think the whole band, we were on tour for almost two years with small breaks in between. We were all in a band for literally two years together. It’s bound to happen, when certain drama comes up. I think we just needed a break from that situation. Jonny, after the announcement that Slaves had broken up is when you wrote that open letter on Facebook to your fans about your struggle with addiction. Why did you decide to do that? CRAIG: Without getting too far into personal issues, it’s no secret I obviously dealt with drug addiction for a long time. I think it was just time to clear the slate. If we wanted to start as a new band and really focus on this, I think it was just time for me to clear the slate and be honest about what I was doing at the time during the last two tours and the Warped Tour thing. Everything gradually started to go downhill from there again for me, and I wanted to put things back together. I think the best thing for me to do was to use this band as a stepping stone to put things in order for my life. I wanted to write to the fans and let them know, I’m still here, I’m still dealing with this stuff, and I’m always going to be dealing with it, but that doesn’t mean I’m ever going to give up on the thing I love—and that’s music. I think it was important to get that out and clear the air. Since you do want to focus on starting fresh, let’s talk about the future of Slaves. What is the rest of your lineup going to look like? VIERA: We have a couple of [musicians] overseas that we have learning the songs, and they’ve actually been sending some stuff back and forth to us, showing us their progression and they’ve been really good. So we’re happy about that, we have a crew over there. As far as any new [permanent] members, we won’t be doing any of that until like Jonny says, the business side straightens itself out. It’s really about personalities and skill level, as well, but we want to get the most positive people we can in the band, because that’s just something the band needs, is everyone on the same page. It might take us a little while to find those members, but we will be doing that after everything else, when the new album’s out and the business side is taken care of. Could you explain what you mean by “getting the business side of things in order”? CRAIG: After going through everything we already talked about, the Artery thing, all of that type of stuff going sour, we want to focus on finding someone to work with us. We want to start putting back together a team. Right now, we have a booking agent. We want to start looking for new management, we want to lock down those aspects of the band first before we get new members. I want to make sure we do this the right way, from the beginning. I want to find people who want to be on our team, who actually believe in the band and believe in us as people. That’s where we want to focus our efforts right now. And obviously we’re going to be writing. We want to put out some singles for anybody who’s still listening. And we’re going to be writing with some people. I know Will Swan, has agreed to write with us, K.C. 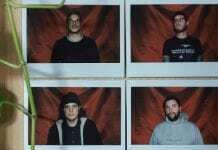 [Simonsen from Outline In Color] is going to work with us on a couple songs. We’re going to be working with some other people right now just to put some new music together and see where that takes us. Ultimately, the business part is what we want to focus on—putting our management team back together, getting a booking agent that believes in us. VIERA: We want pretty much all positivity on our side. We want to make sure everything gets straightened out business wise and music wise we want to be looked at as a positive band in the industry and in this scene. So you’re really trying to start fresh and make sure you’ve got the right team behind you with people who believe in what you’re doing. VIERA: Yeah, and we know that we haven’t been looked at as the most positive band, because of things that have happened and rumors that have started, but we want to make sure that people see that we are a positive band. We want to make our fans as happy as possible. Are going to continue writing songs just the two of you, as Slaves? CRAIG: Yeah, we’re going to be writing with other people. I’m not saying we’re not going to look for permanent members, but our main focus is to focus on finding management, finding a booking agent, and working with positive people. Do you think you’ll release some singles before you have the full lineup? VIERA: Definitely. We’re going to be writing with two people, they’re not going to be in the band permanently. We wanted to focus—and I’m not 100 percent on it—but we wanted to focus on at least trying to put something out before we go off to Europe, or at least November. Do you have any idea of what direction you’re going to take musically? VIERA: Right now, it’s pretty up in the air. We don’t want to put ourselves in any box. We don’t want to have any limits. We’re trying to think outside the box as much as possible. Obviously, our music is going to a little sound different now that there are members who have left. I don’t really want to say how it’s going to be yet, because we’re still really in the process of writing new music. But it’s definitely going to sound a little bit different than what everyone’s used to. CRAIG: I don’t think we’re going to drastically change our sound or anything or change into a screamo band or anything like that. It’s going to be different, but in a good way. It’s not going to be a hard change. VIERA: After this European tour, we’re going to be taking time off. That’s when we’ll be reinventing the band, writing and doing the business stuff. Also, I wanted to mention that we’re talking about working with Joe Arrington from A Lot Like Birds. All people that we look up to musically and that we know, we like the way they play—and positive people.